It started as a fun way to have a birthday party and now has grown into a yearly tradition. 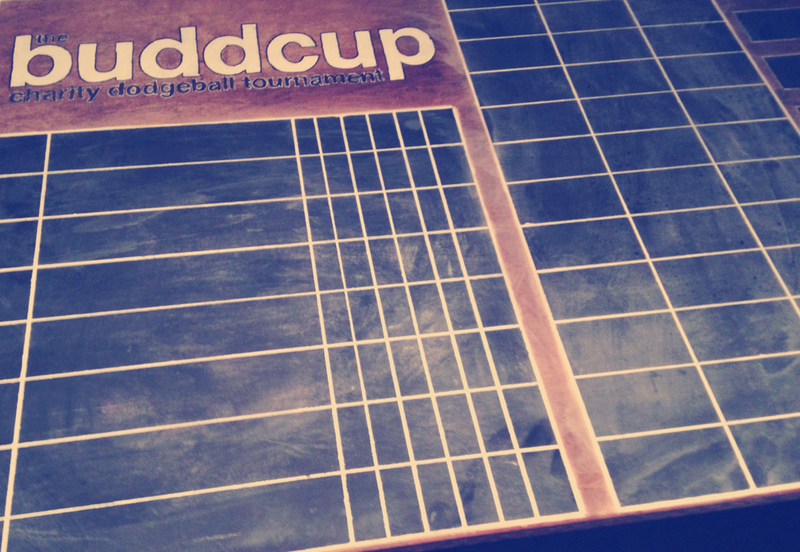 The BuddCup is a yearly Costumed Charity Dodgeball tournament run late January since 2007 (this coming year will be our 10th tournament). Over the 9 years we’ve raised over $20,000 to various charities (The Daily Bread Food Bank, Right To Play, The Princess Margaret Cancer Foundation), with the proceeds of our 2016 event benefiting The Alzheimer’s Society Of Toronto. The tournament portion of the event runs on a Saturday afternoon, where 6-8 teams will compete in a round robin style to determine rankings for the knock-out rounds. Awards are given out for the wining team, best team costume, best individual costumes and the spirit award. The 2016 tournament will also feature a kids tournament, along with a skills competition. The post tournament party takes place at a bar afterwards where competitors can tell their favourite stories from the day, while having some drinks and food. The BuddCup is organized by Budd brothers Chris, Mike and Steve, along with the help of their wives, family, many friends and benefactors. What better way is there to raise money for charity than dressing up in a ridiculous costume, play a sport you probably haven’t played since middle school, then party into the night?